Sanjay Leela Bhansali’s latest epic is another triumph for the set designers, costume makers, make-up artists and jewellers of whom there must have been legion. It’s not just visually spectacular either, with impressive performances from the main leads and a beautiful soundtrack and background score. In fact the story turns out to be the weakest link in an otherwise lavish spectacle since for an epic love story, the film is strangely lacking in romance. However the film still makes an impact and with strong female characters, glittering scenery and plenty of Ranveer Singh, it’s definitely well worth watching in the cinema if you can. The opening scenes are imperially ornate and immediately set the scene for an epic tale of daring do and palace intrigue. Unfortunately there is subsequently rather less of the daring do, with few scenes of battle and the palace intrigue hinted at doesn’t come to anything either. 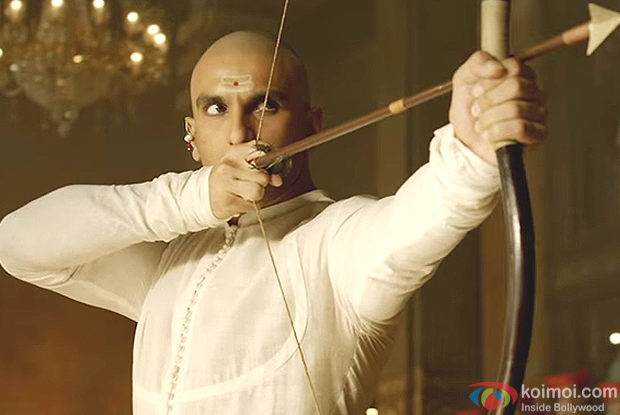 Bajirao (Ranveer Singh) wins the post of Maratha Peshwar with some rather nifty archery, and immediately heads back to battle to continue the expansion of the Marathi kingdom. 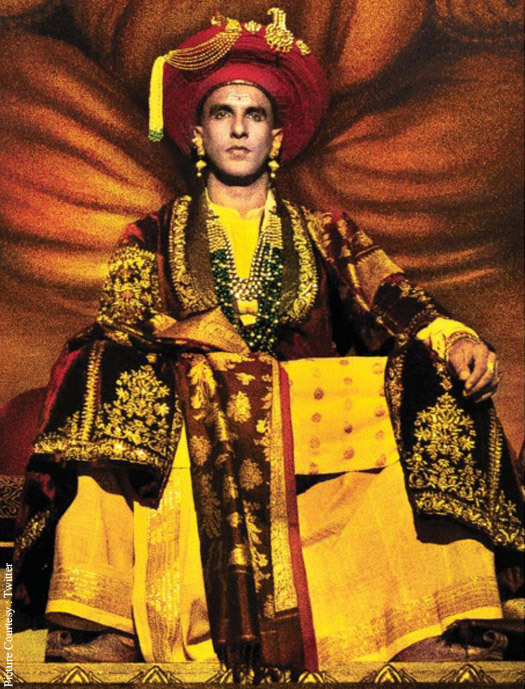 While out on campaign he comes to the aid of the King of Bundelkhand and after rescuing the kingdom from an army of invaders, Bajirao falls for the King’s daughter by his second Muslim wife, Mastani (Deepika Padukone). Mastani is a warrior too and manages some impressive sword work herself, which is presumably why Bajirao falls for her. But what happens in Bundelkhand should stay in Bundelkhand and the trouble starts when Mastani follows Bajirao back to Pune, where Bajirao lives with his wife Kashibai (Priyanka Chopra) and his mother Radhabai (Tanvi Azmi). Radhabai is incensed that her family line should be polluted by a foreigner’s blood, particularly since Mastani is Muslim, and she deliberately humiliates Mastani at every opportunity. Radhabai is an interesting character with a little more depth that just a standard outraged matriarch and Tanvi Azmi is excellent as the embittered widow who feels she is fighting for her family’s honour. She is ably supported in her machinations by Bajirao’s younger brother Chimaji Appa (Vaibbhav Tatwawdi) and his eldest son with Kashibai, Nana (Ayush Tandon). Her outrage and vehement opposition to Mastani is perfectly vindictive and beautifully balanced by her warm relationship with Kashibai and her devotion to her son. 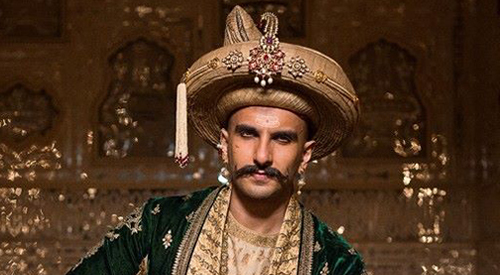 Ranveer Singh does a fantastic job as Bajirao to the extent that I don’t actually like his character much – impressive when I usually love every character he portrays. Here he is consumed by desire and mostly oblivious to the pain he causes others, making him too arrogant to be a completely likeable character. 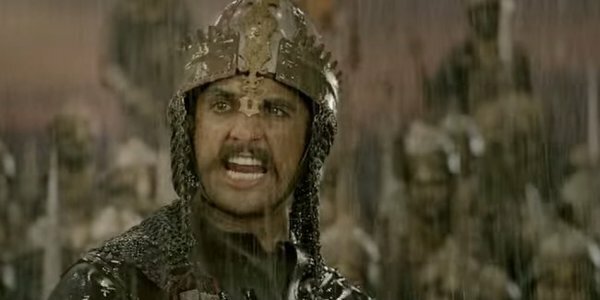 Bajirao is certainly a fearless warrior, but Ranveer gives him a compassionate side and also allows glimpses of insecurity through his relationship with Mastani. However he doesn’t see the contempt with which his family views Mastani and seems oblivious to the threats against her life. He is more concerned with his role as Peshwar until he lets his desire for Mastani overcome his sense of duty and allows his obsession with her to rule his life. Ranveer shows little of the swagger and attitude from Kil Dil and Gunday, but transforms himself into an eighteenth century warrior with plenty of imperial remoteness and stately reserve, which may partly explain the lack of warmth in his relationships. 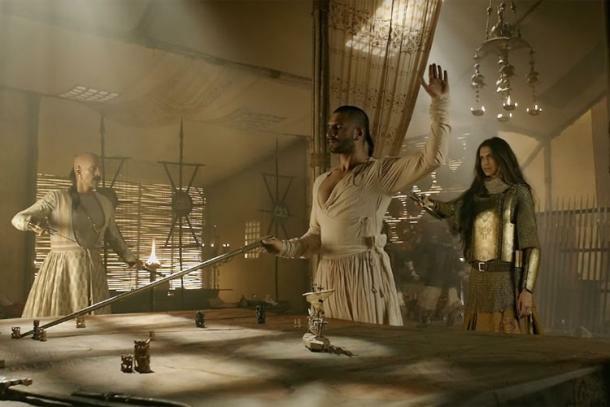 Unfortunately Bhansali doesn’t show many battles, and in the few fight scenes Ranveer mainly sits on a horse and swings his curling sword, although he does manage a few good grimaces as he rides to battle. Maybe I watch too many SI films but I was disappointed at the lack of battle scenes and would have loved more action rather than the relatively bloodless clashes here. 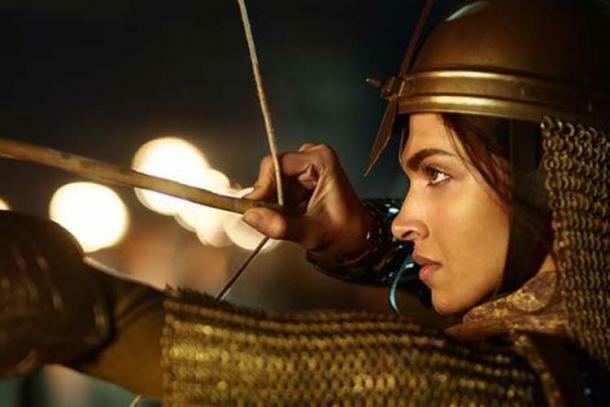 As Mastani, Deepika is mesmerizing when she snarls her way through battle but she becomes flat and lifeless once she transforms into the love of Bajirao’s life, losing all her sparkle. 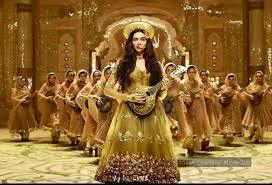 I find Bhansali’s depiction of Mastani in love as insipid and overly compliant. Where did all her passion go? There is definite chemistry between Ranveer and Deepika, but there appears to be little joy in the relationship and I’m not sure that smouldering looks and declarations of’ acceptance’ are enough to explain why Mastani submits to the many indignities heaped on her admittedly capable shoulders. A love that is strong enough to withstand such determined and murderous opposition should be grand, overwhelming and all-encompassing, but that just doesn’t come across in the relationship between Bajirao and Mastani, and that is the most disappointing aspect of the film. 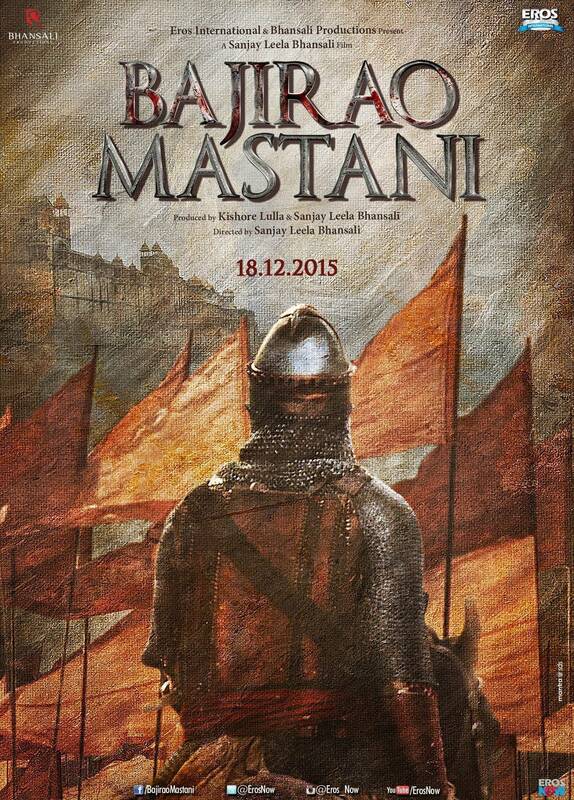 The best of the main leads is undoubtedly Priyanka Chopra as Bajirao’s first wife. She has the passion and joy in her relationship with Bajirao that is lacking in his relationship with Mastani and gets to show all her rage and humiliation when she discovers Bajirao’s infidelity. Priyanka is brilliant here in a perfectly nuanced performance that gives her the opportunity to show passion, despair, hate and compassion and she gets it right every time. Kashibai is the more interesting character and with grace and beauty Priyanka makes the most of the opportunity given to her in a faultless depiction of a betrayed wife. She gets to dance too, and if Pinga doesn’t quite reach the choreographic heights of Dola Re Dola, Priyanka and Deepika are both beautiful dancers and look absolutely stunning too. I didn’t know the story of the warrior Bajirao and his second wife Mastani before watching the film, and I’m not sure that I know much more about them afterwards either. Bhansali takes moments from Bajirao’s life (although for a film about a great martial leader there are few glimpses of this side of his character) and intersperses them with behind the scenes action in his household, but the narrative jumps hours, days and then years without any clear indication, resulting in a disjointed timeline. 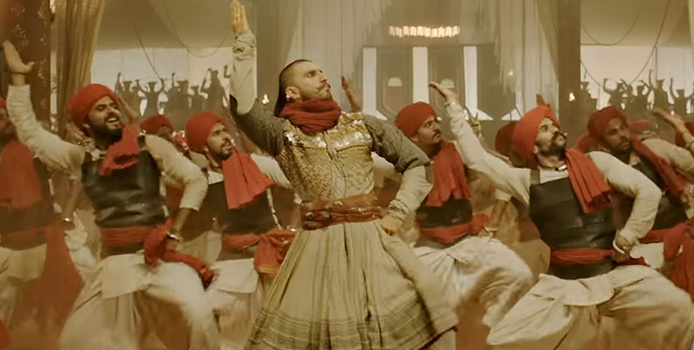 Each scene is individually good, but doesn’t always totally gel with the preceding or subsequent action, while the lack of passion and joy in the relationship between Bajirao and Mastani is disappointing. 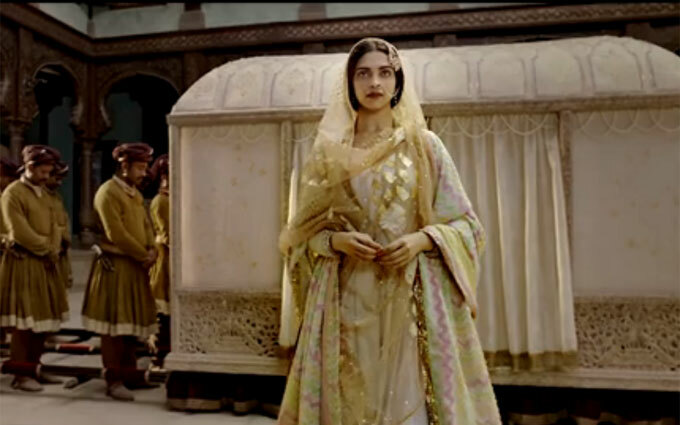 However the opulent sets and overall grandeur of Bajirao Mastani are of the overall high quality expected from Sanjay Leela Bhansali and ensure that the film is worth watching even if it’s not as engaging as I would have liked. I’d recommend watching for the visual impact and for the excellent performances from all the cast, especially Ranveer and Priyanka. This entry was posted in Bollywood and tagged Ayush Tandon, Bajirao Mastani, Bollywood, Deepika Padukone, Hindi, Priyanka Chopra, Ranveer Singh, Sanjay Leela Bhansali, Tanvi Azmi, Vaibbhav Tatwawdi. Bookmark the permalink. Thanks for making me aware of this film. I always try to make room in my film viewing for a few Bollywood films, and this one looks like a winner. So, all in all, I had a good time. Definitely wasn’t bored, which to me, is a crime worse than making a bad movie. Excellent! Good to hear you enjoyed it too. Apart from Black (which I agree was terrible) SLB’s films are generally beautiful to look at, so that is often the reason I try to see his films in the cinema. His use of colour and fabric is stunning, and I think he gets it spot on here. I loved the Palace of Mirrors, and I think that a painting come to life is the perfect description! 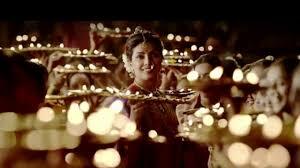 Priyanka was fantastic – I loved the look in her eyes when she looked at Mastani – no love lost indeed!